You get the fastest counting technology in the market, helping your team delight customers with timely service and a personal touch. 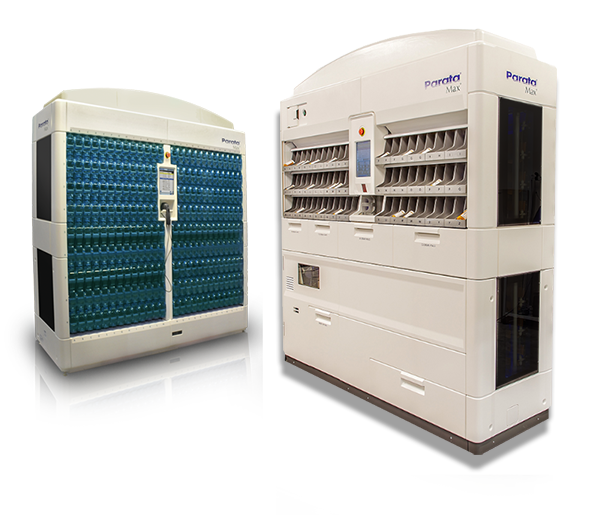 We’re proud to offer the premier line of high-speed automation solutions to ensure safety, accuracy, and efficiency in every pharmacy setting. We make it — and make it better — because we’re driven to free your time so you can do what you do best — support your patients and lead your team. It’s the team behind the technology that keeps you up and running. Everyone at Parata wants to see your pharmacy — and patients — thrive. Parata passion is at the heart of our operations. Our technical assistance center in Durham, NC, is available for any questions you have about your robot. And our field service team works for Parata, not a subcontractor, so each technician is trained to be an expert in the maintenance and repair of your Parata technology. As your partner in success, we want you to have the robot that’s the best fit. Let’s talk to see which solutions are right for your pharmacy. Fully automated robotic dispensing. Spend less time labeling, counting, sorting and capping — and more time providing the kind of patient care that inspired you to become a pharmacist. Parata Mini has big technology in a small footprint. 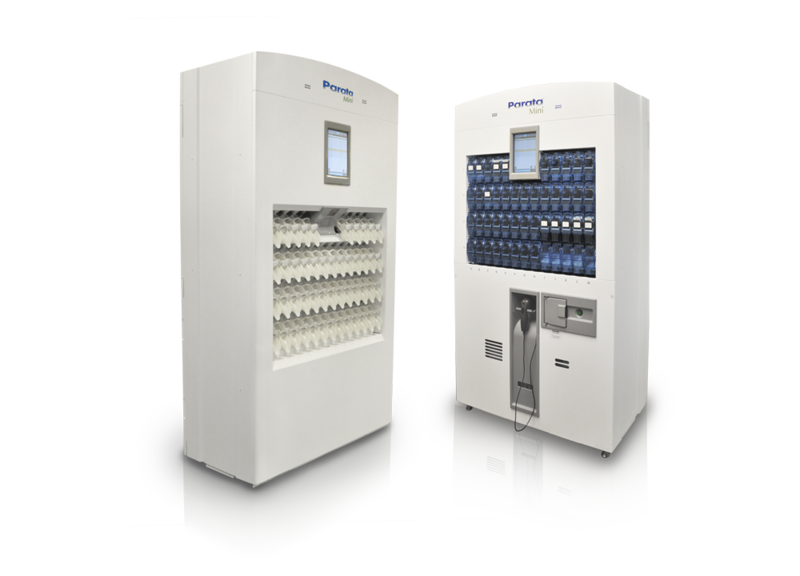 Don’t waste valuable time counting by fives; leave it up to Mini, powerful counting and dispensing for your pharmacy. 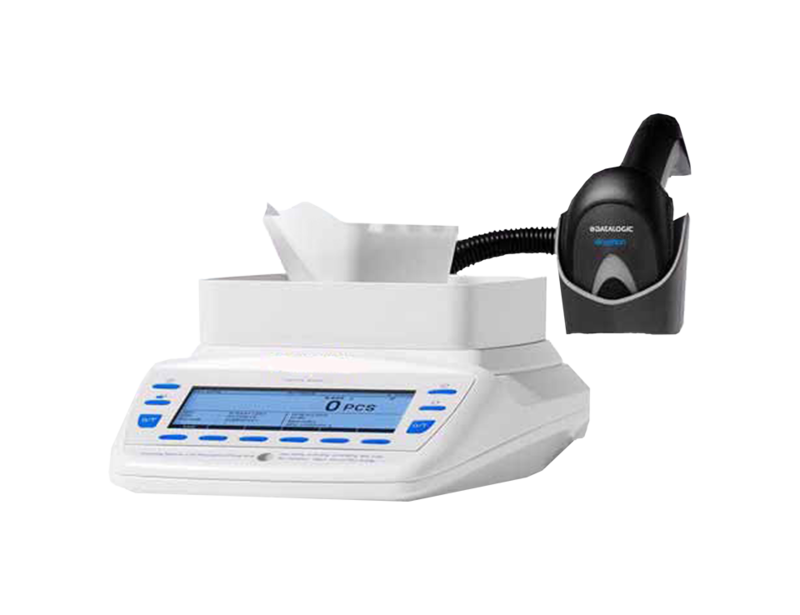 Parata AccuCount II is a cost-effective table-top device with the precision to accurately weigh oral solids in seconds. Pharmacies rely on Parata for the standard in pharmacy scales.